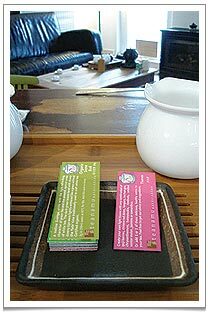 A little picture card on every table to show the tea ritual at the chaya teahouse. 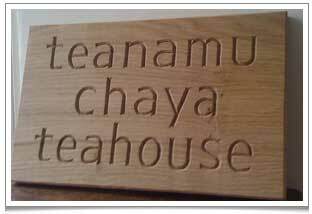 A heartfelt thanks to everyone who helped us inaugurate chaya teahouse this weekend, after such a long gestation period! We had a lot of supporters who came to have afternoon tea with us and we received great comments, feedback and suggestions for improvements. To my pleasure and relief everyone seems to have enjoyed the food, the ambience and the decor. One dish was a particular favourite: the vegetarian Lo Mai Kai glutinous rice parcel. I remember having much discussion and taste testing with this dish and am very glad that it worked out! 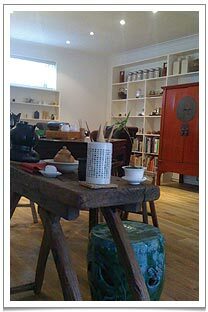 There are still, of course, minor logistical challenges to overcome so that I can provide an even better tea drinking experience for all my tea friends, new and old. 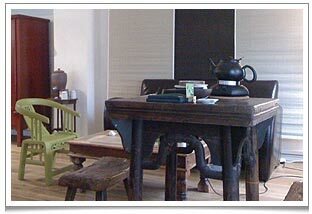 Do pop by for a cuppa very soon! To reserve a place, please click here. 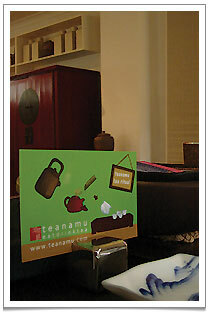 Here is a review by tea lover Erin in yelp.co.uk. And here are a few of the pictures.